At South Coast Medical Group, one of the services we offer is geared towards our female patients. Our team of doctors, nurses, and physician assistants work together to provide different options for women that will help them thrive at any age. Women’s health may vary depending on factors such as lifestyle and age. It is important to us that our office is able to implement services that bring awareness and education to our female patients regarding the state of their health. Each patient is unique; therefore we are dedicated to providing the proper care for every specific need. Every stage of life brings new changes and challenges to women’s bodies. Healthy living can require very different needs for a female in her preteen years compared to a woman reaching menopause. Depending on the patient’s age, our doctors will provide individualized care such as a physical and nutrition counseling. Well-woman exams at South Coast Medical are done once a year to check the health of the patient’s reproductive organs. Exactly what happens during the exam depends on your age as well as your sexual and medical history. Patients speak with our doctors to discuss things such as periods and irregularities in their cycle. Our doctors will also provide a breast exam, pelvic exam, and a pap smear. Along with these tests, some patients are screened for sexually transmitted diseases and pregnancy. Along with monitoring different health concerns with age, it is important to keep in mind the type of illnesses that can show up later in life. As they get older, women are at a greater risk for chronic diseases such as heart disease, Type 2 diabetes, and osteoporosis. Our team monitors our patients’ blood pressure, cholesterol, bone density, and blood sugar to manage any risk. We also may intervene with medications, dietary revisions, or exercise recommendations to help ensure a patient’s disease has minimal impact on their quality of life. Stop by our office to meet with our team about taking care of your overall health. We are open every single day of the week and require no appointments. 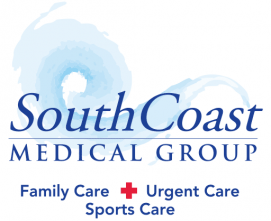 South Coast Medical Group is proud to offer a unique patient-focused approach to healthcare. South Coast Medical Group is innovative in its commitment to excelling as a medical home for the full range of one’s healthcare needs and concerns. Sensitive to the Orange County lifestyle, our office is an “open-access” model, open seven days a week with flexible scheduling options.